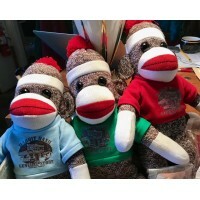 You'll find wonderful items such as Bybee pottery, hand-woven towels from Boston Weavers, brooms made at Berea College in Kentucky, hand-made soaps, wooden kitchen utensils, enamelware, and the necessary hats, shirts and postcards. Lots of delicious foods are offered as well, such as Mom Blackmans cream pull candy, Windstone Farm blackberry jam, shortbread wafers in tins, Lion coffee and Saponi Soaps handmade olive oil soaps. 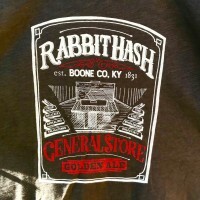 The Rabbit Hash General Store is open every day from 10:00 in the morning until 7:00 at night. Visit our Contact Us page to get in touch. 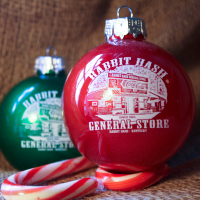 In addition to the General Store, Rabbit Hash features the Rabbit Hash Museum, historic homes, and shops such as the Kentucky Huckster, which offers a variety of Appalachian crafts and quilts. 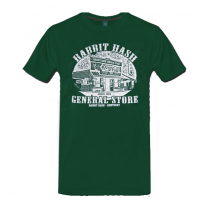 Day-long riverboat cruises on the Ohio River to Rabbit hash are offered from Covington (directly across the river from downtown Cincinnati) by area sightseeing cruise operators such as BB Riverboats.